Whether you want a refreshing break from daily life or the chance to kick-start your metabolism and fitness, this is the holiday of your dreams. 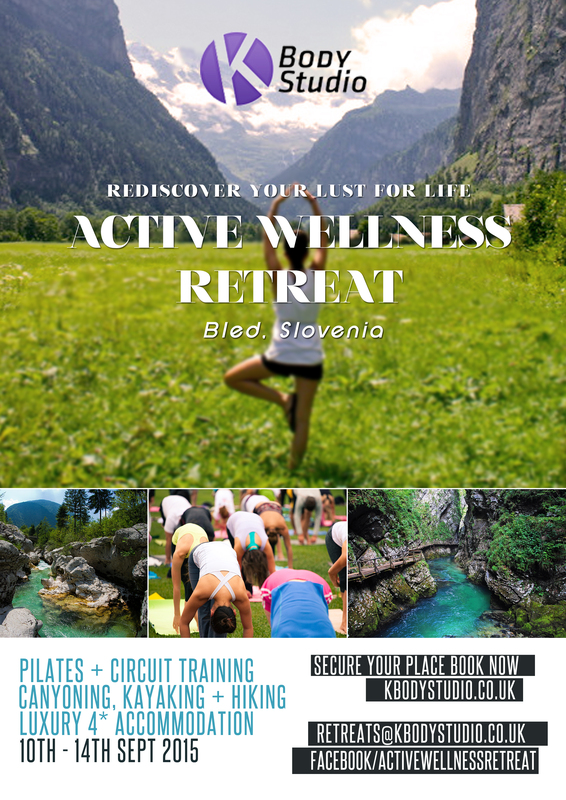 Our fitness holidays in one of Europe’s most breath-taking landscapes allow you to explore a new country, get back to nature and improve your health and wellness at the same time. 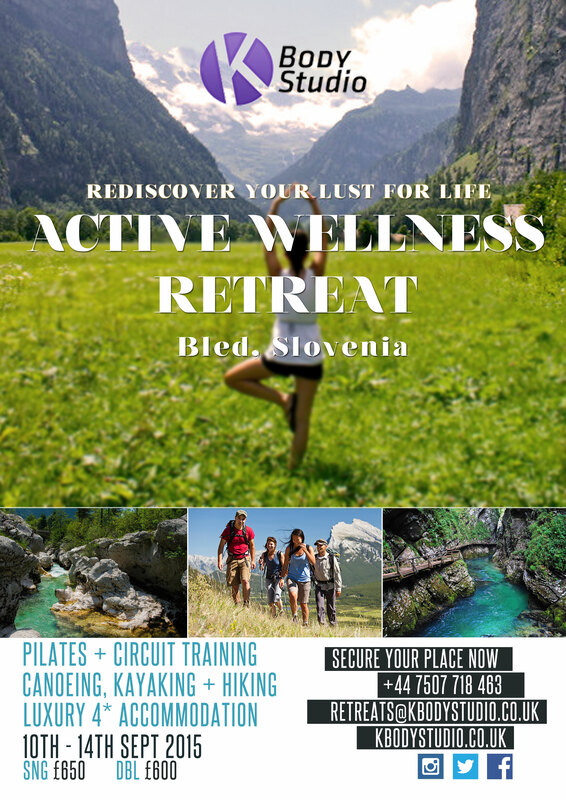 Through physical activities, fun challenges and guided walks through the spectacular Slovenian countryside, you’ll discover a beautiful and relaxing environment. In a small, private group of up to seven people, you can choose your focus – whether that’s sightseeing or high-adrenalin adventure sports. With hiking and healthy-eating built in, you will come back fit, glowing and full of energy. So what are you waiting for? Daily training sessions, in different disciplines including Pilates, Yoga & Circuit training. You will be picked up at the airport for sightseeing around the beautiful Slovenian capital of Ljubljana with a local guide. There will be healthy snacks available as you drive to your 4-star accommodation in Bled for a pre-dinner workout before a healthy dinner and a good night’s rest. After an eye-opening wake-up workout and a healthy breakfast, you will be driven to Adrenaline Park. There, you can choose from biking, climbing, snorkelling, paintball, hiking or trekking or, for a £20 supplement, you could go rafting, canyoning, kayaking, riverboarding or horse riding. Once again, there will be healthy snacks to sustain you through your pre–dinner workout, followed by a healthy and delicious meal. After your wake-up workout and healthy breakfast, you’ll head out to spend the day hiking in the leafy surroundings of Slovenia’s only national park, Triglav, with a local guide. Named for its highest peak, the park is noted for its incredible mountain views and stunning natural beauty. You will return in time for a pre-dinner workout and another well-earned healthy dinner. Once again, you start with a wake-up workout – by now it should feel normal! – and healthy breakfast before you go on a sightseeing tour of historic Bled, hiking around the mirror-like lake and medieval castle. You will return for your final pre-dinner workout and tasty meal, and enjoy a final relaxing night in this beautiful city. There’s time for one last wake-up workout and healthy breakfast before your transfer to the airport and flights home. You’ll be relaxed, energised and ready to take on the world! 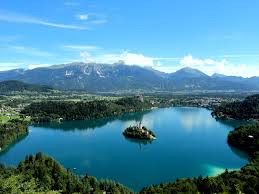 Slovenia lies in the heart of Europe, where the Alps meet the Mediterranean. 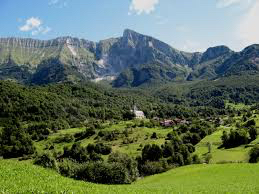 This small country has an extraordinary variety and diversity of landscapes, from salt-flats to huge cave systems, but with forests covering almost 60% of the country the predominant colour is green. Most of Slovenia is mountainous or hilly, particular along the northern border with Austria, and its coast is short but studded with beautifully preserved medieval towns like Piran. The country’s history as a crossroads of empires from Roman to Austro-Hungarian means that the culture is cosmopolitan and welcoming. With a gentle Mediterranean climate, it’s perfect for outdoor activities that will open up your lungs, get the blood flowing and make for the ideal holiday.